Premium natural nutrition for growth and color enhancement. Nutrient-rich frozen PE Calanus zooplankton is a great source of essential fatty acids as well as astaxanthin and other carotenoid pigments to help support overall health and vivid natural coloration of aquarium inhabitants. Great for freshwater and saltwater fish as well as corals and other filter feeding organisms. 4 oz blister pack. 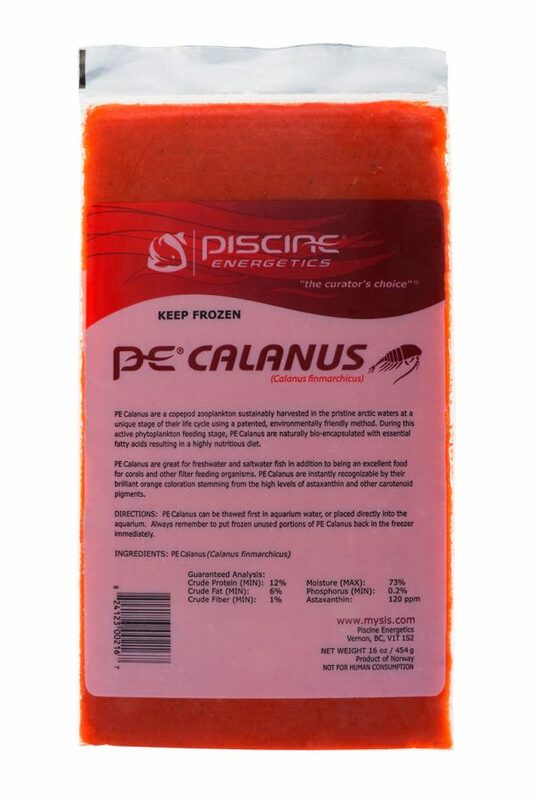 PE Calanus can be thawed first in aquarium water or placed directly into the aquarium. Always remember to put frozen unused portions of PE Calanus back in the freezer immediately.